On Saturday 4th October 2014, the Breed will be playing at a big Birthday Bash to be held at Richmond for Ron, Simon, Catherine and Jack. Best wishes to each of you from The Breed and we’ll see you on Saturday for a Fab, Far-out and Groovy time. Thanks to everyone who came along to The Winston on Friday Night. We will be back there again for another blast from your past on Friday 17th October 2014. The Breed just can’t keep out of Franklin Square. In fact they like it so much, they had to sing about it. So here they are with their latest song, called Franklin Square. 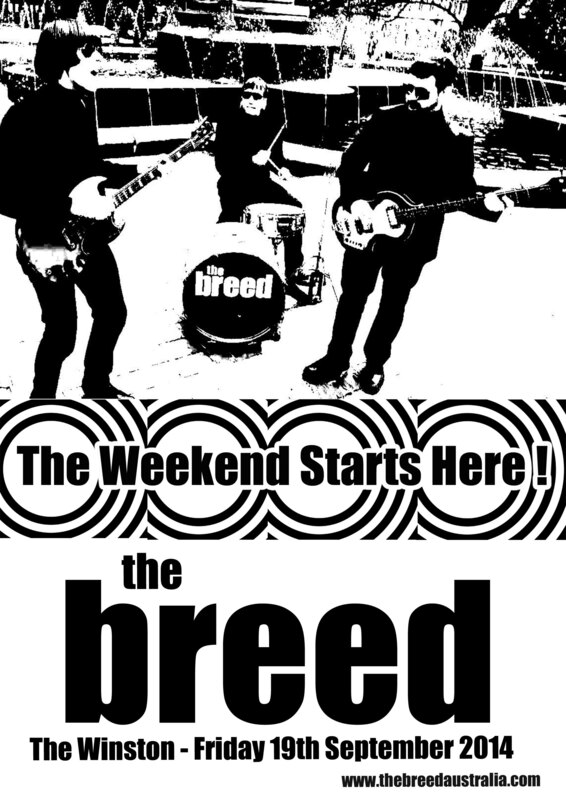 Your Weekend starts with The Breed at the Winston on Friday 19th September 2014. Be there or be square. You are currently browsing the The Breed blog archives for September, 2014.